The 2017 BMW PGA Championship golf tournament on the European Tour is taking place this week from May 25-28, 2017, on the West Course at the Wentworth Club (pictured below) located in Virginia Water, Surrey, England. Here is a list of the playing field of top European Tour players this week at the 2017 BMW PGA Championship. 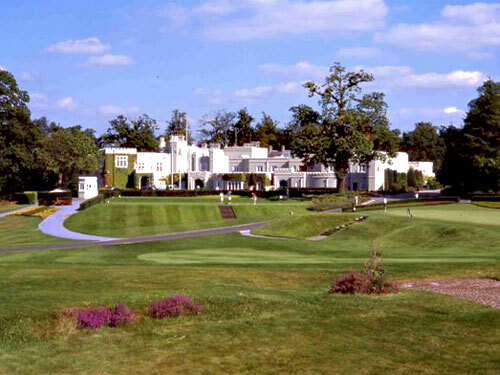 The BMW PGA Championship is the flagship event on the European Tour and dates back to 1972 as a European Tour event. Nick Faldo holds the record for most wins with four (1978, 1980, 1981, 1989). To date, Arnold Palmer (1975) is the only American to win this event. Those seven players are ranked in the top 25 in the world. Top 50 ranked players in the world include Thomas Pieters, Tommy Fleetwood, Bernd Wiesberger, Francesco Molinari, Matthew Fitzpatrick, Ross Fisher and Martin Kaymer. Golf major winners in the field not included above are Ernie Els, Padraig Harrington, Darren Clarke, Paul Lawrie and Trevor Immelman. Other well known golfers with many wins on tour include Lee Westwood, Ian Poulter, Luke Donald, Robert Karlsson, Thongchai Jaidee, Edoardo Molinari, Joost Luiten and Thomas Bjorn. Americans trying to join Arnold Palmer as a winner of this flagship European Tour event in 2017 include Peter Uihlein, Daniel IM, Paul Peterson, David Lipsky and Harold Varner III. This is likely the best playing field any solely European Tour event will have this golf season.